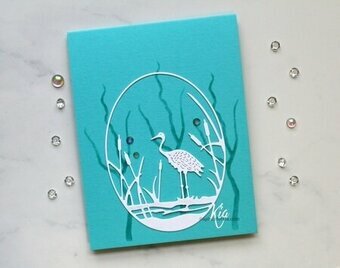 Nellie's Choice - Multi Frame Die - Straight Oval 2. A great set of oval dies.Includes 17 dies for added flexibility and many layering and framing options for your cards and layouts. 17 dies. Size: Smallest: 0.35" x 1.0", Largest: 4.25" x 5.50". Lacey and intricately cut designs decorate the edges of these wonderful ovals. This set of four Nestabilities Decorative Elements coordinate with the Classic Ovals die templates, they stack and layer beautifully.Use them to create frames, or stamp images or verses in the center for creative options on cards, scrapbook pages and mixed media art. Spellbinders Nestabilities dies cut, emboss and stencil with a single die template. Approximate Die Template Sizes: 1. 1 1/2" x 2 1/8", 2. 2 1/4" x 3 1/8", 3. 2 5/8" x 3 3/8", 4. 4 1/8" x 5 1/8". 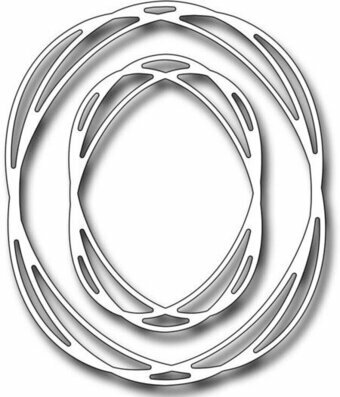 This Nestabilities Oval Ironwork Etched Die set would make an awesome addition to your die cutting collection. Spellbinders Nestabilities cut, emboss and stencil with a single die template. Two oval shaped ornate pieces can be paired with our classic oval die templates or our other dies to complement its shape. Use as a frame for pictures, stamped images and more. Also includes an accent piece in this three piece set. Approximate Size: Accent: 1.40 x 1.85 in, Insert: 2.20 x 3.00 in, Frame: 4.00 x 4.85 in. Create beautifully detailed designs with these elegant dies. Each die design comes with one 8x6 inch magnetic storage binder to keep your dies in one place. Cuts with most die-cutting tools. This package contains Oval: ten dies measuring between approximately 2-1/2x1 inches and 5x3-1/2 inches on one 8x6 inch magnetic sheet. 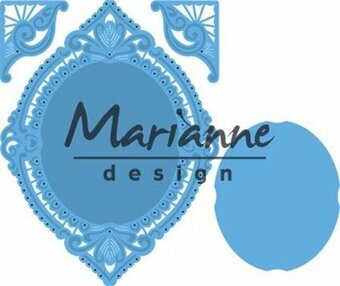 This set of three die template is a handsome oval shape design. The edges of each oval has a regal inspired pattern that makes this a must have in your die template collection! Decorative Accents sets include an element such as a corner piece, tag or other kind of accent that help embellish a project. Spellbinders Nestabilities Decorative Accents cut, emboss and stencil with a single die template. Approximate Die Template Sizes: 1: 1 5/8 x 2 1/8", 2: 2 7/8 x 3 7/8", 3: 4 1/2 x 6 3/8".